Hulu joins Netflix in offering an app for the Gear VR headset, and is among the first of what will surely be many VR apps to come from content providers. The virtual reality scene is heating up in a big way, and Hulu wants in on the action. In a report published Friday, Hulu’s Tim Connoly tells Cnet that the company will have an app ready for the Samsung Gear VR when the headset goes on sale next month. Hulu announced its app back in September, according to Cnet, but at that time, it merely said it would ship sometime this fall. 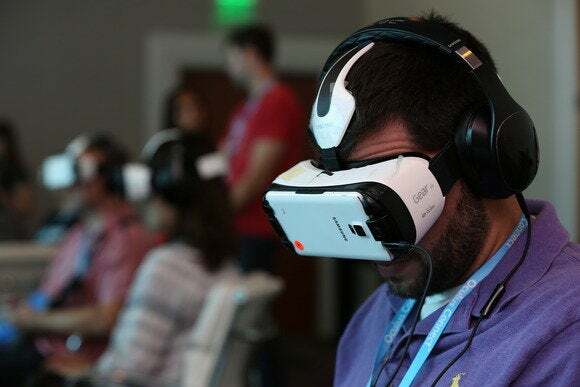 In addition to the app, which will presumably allow you to watch your shows using Samsung’s VR headset, Cnet’s Joan E. Solsman reports that Hulu is also looking into producing programming designed specifically for virtual reality viewing. Solsman also notes that “[t]he company is already dabbling in VR” and is working on a VR-specific short. Hulu’s app might end up being one of many more VR apps to come from content providers. 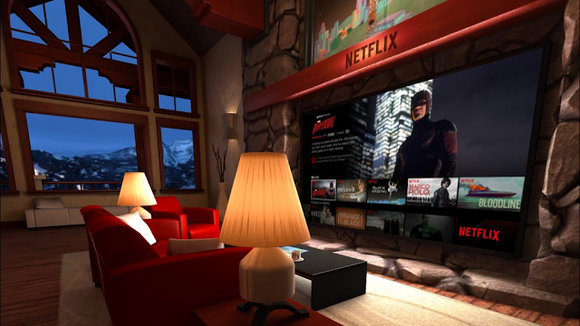 Sure enough, Netflix has a VR app of its own on the way, complete with a slightly campy cabin-living-room motif. Nexflix’s app for Gear VR. Granted, we are in the very early days of mainstream virtual reality, and in time, we can probably expect content providers and app makers to get a better grasp on how they can best use VR to create something innovative and unique.